CA Birth Index, online at search.ancestry.com, Birth Certificate for Sally Catherine Cherry. CA Birth Index, online at search.ancestry.com, Birth Certificate for Helen E. Larkin. CA Death Index, online search.ancestry.com, Los Angeles; Date: 21 Oct 1988; Social Security: 563076375. Jefferson Larkin household, 1900 U.S. Census, Passaic County, Jefferson Larkin, population schedule, Paterson, ED 0146, sheet 23B, dwelling 219, family 496, age 36, occupation Tailor. Ellen Larken household, 1910 U. S. Census, Los Angeles County, California, population schedule, Los Angeles, ED 0128, sheet 6B, dwelling 123, family 140, age 39, occupaton none. CA Birth Index, online at search.ancestry.com, Birth Certificate for Thomas William Cherry - Mother Larkin. Elbert Havens household, 1920 U.S. Census, Park County, Elbert Havens, population schedule, Livingston, ED 81, sheet 2B, dwelling 43, family 57, age 44, occupation Machinest NPRR. Albert L. Havens household, 1930 U. S. Census, Los Angeles, California, population schedule, Los Angeles, ED 458, sheet 1B, dwelling 28, family 29, age 54, occupation Machinest - Motor Bus. Donald L. Havens household, 1940 U. S. Census, Los Angeles, California, population schedule, Pasadena, ED 19-543, sheet 17B, dwelling Thorndale Rd, family 3532, 351. Frederick Cocke Procter was born on 25 September 1906 at Victoria, Victoria County, Texas; Photo Copy of an obituary.2 He married Roxana Barclay, daughter of Samuel Alexander Barclay Sr and Esther Hardie, in October 1937; From an wedding anouncment in the San Antonio Light, Monday, October 4, 1937, pg 5.3,1 Frederick Cocke Procter died on 24 March 1967 at Victoria, Texas, at age 60; From an obituary in the Victoria Advocate, March 25, 1967 - "He is survived by his wife, Mrs. Frederick Cocke Proctor of Victoria; two sons, Venable B. Proctor and Frederick Cocke Proctor Jr. of Victoria; a daughter, Mrs. Lytle Tom Jr. of Kansas City.2"
Find A Grave - Memorial Page, online www.findagrave.com, Roxana Barclay Proctor - Find A Grave Memorial# 96397521. Find A Grave - Memorial Page, online www.findagrave.com, Frederick Cocke Proctor - Find A Grave Memorial# 96397485. Find A Grave - Memorial Page, online www.findagrave.com, Samuuel Alexander Barcclayy, Sr - Find A Grave Memorial# 103258969. William Fitterman household, 1920 U.S. Census, Suffolk County, William Fitterman, population schedule, Revere, ED 660, sheet 1B, dwelling 11, family 20, age 35, occupation Cap Maker - Cap Factory. Public Member Tree, online search.ancestry.com, Fetterman Family Tree_2013-10-28 for Ancestry - nshacat. Octavius Armstrong household, 1920 U. S. Census, Bibb County, Gerogia, population schedule, Macon, sheet 39, dwelling 12A, family 109 Clayton St.
Ancestry.com, FamilyTrees, Family tree submitted by Colleen Murray, online search.ancestry.com, Sources: Armstrong Bible, Note: The Bible began by Joseph Armstrong and Margaret Watson. Page: Births: Octavius A. Armstrong son of J.W. & Mary J. born in, Albany, GA -- August 31st 1870; Page: Deaths: Octavius Augustus Armstrong died Macon GA 18 Oct 1942 Page: Births: Octavius A. Armstrong and Mary H. Tower--married Americus, GA. Dec 14th 1905. Ancestry.com, FamilyTrees, Family tree submitted by Colleen Murray, online search.ancestry.com, Sources: Armstrong Bible. Joe J. Mc Elrath household, 1940 U.S. Census, Washington County, Joe J. Mc Elrath, population schedule, Sandersonville, ED 150-9, sheet 4A, Street or Post Office Smith Street, number of household visited 814, National Archives micropublication T627-721, Joe is listerd as a married 34 yearold Manager - Lumber Business. Public Member Tree, online search.ancestry.com, Corvan Family Tree. Charles D Morrison household, 1920 U.S. Census, Jackson County, Charles D Morrison, population schedule, Sni-A-Bar, ED 279, sheet 3A, dwelling 63, family 72, age 39, occupation Farmer - General Farm. SSI Death Index, online www.familysearch.org, FamilySearch (https://familysearch.org/ark:/61903/1:1:V3N9-4ZX : 20 May 2014), Claudine Jackson, May 1974; citing U.S. Social Security Administration, Death Master File, database (Alexandria, Virginia: National Technical Information Service, ongoing). Charles D Morrison household, 1910 U.S. Census, Jackson County, Charles D Morrison, population schedule, Sni-A-Bar, ED 212, sheet 3B, dwelling 60, family 60, age 29, occupation Farmer - General Farm. Find A Grave, database and immages, online www.findagrave.com, Berl Todd Ellis, Find A Grave Memorial no: 95936527. Roy C Morgan household, 1930 U.S. Census, Jackson County, Roy C Morgan, population schedule, Blue, ED 244, sheet 7A, dwelling 96, family 202, age 35, occupaton Salesman - Men Furnishing. Charles D Morrison household, 1930 U.S. Census, Jackson County, Charles D Morrison, population schedule, Sni-A-Bar, ED 278, sheet 11A, dwelling 275, family 275, age 49, occupation Farmer - Farming. Dexter Hart household, 1910 U.S. Census, Kent County, Michigan, population schedule, Grand Rapids, ED 0099, sheet 1A, dwelling 7, family 7, age 26, Steam Fitter - Funiture Works. Michigan Obituaries, 1820-2006, viewed at FamilySearch, online familysearch.org, FamilySearch (https://familysearch.org/ark:/61903/1:1:QVJ1-X37F : accessed 25 October 2017), Pyrle Or Peak Hart, 2001; citing , various offices and archives, Michigan. 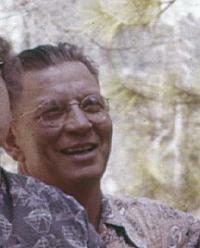 Find A Grave - Memorial Page, online www.findagrave.com, Pyrle Herbert "Peak" Hart - Find A Grave Memorial# 103676189. SSI Death Index, online www.familysearch.org, FamilySearch (https://familysearch.org/pal:/MM9.1.1/JYVQ-6JD : accessed 10 Oct 2014), Pyrle H Hart, 13 Mar 2001; citing U.S. Social Security Administration, Death Master File, database (Alexandria, Virginia: National Technical Information Service, ongoing). Dexter Hart household, 1920 U. S. Census, Kent County, Michigan, population schedule, Grand Rapids, sheet 32, dwelling 28A, family 587, 668. Pyrle Hart household, 1940 U.S. Census, Kent County, Pyrle Hart, population schedule, Grand Rapids, ED 86-53B, sheet 4A, Street or Post Office Lawrence, house number 112, number of household visited 82, National Archives micropublication T627-1898, Married 33 year old College Graduate in the Construction Dept of Kroger Co.
Michigan, Marriage Records, 1867-1952 [database on-line]. Provo, UT, USA: Ancestry.com Operations, Inc., 2015. Online at Ancestry.com, online search.ancestery.com, Marriage between Pyrle Hart and Ruth Hammond; Certificates - 1926-1939, Kent, Kent (1937-1939). , Marriage Place: Marriage between Pyrle Hart and Ruth Hammond; Certificates - 1926-1939, Kent, Kent (1937-1939). United States World War II Army Enlistment Records, 1938-1946, database online at FamilySearch, online familysearch.org, FamilySearch (https://familysearch.org/ark:/61903/1:1:K8YK-4YT : 5 December 2014), Pyrle H Hart, enlisted 22 May 1942, Kalamazoo, Michigan, United States; citing "Electronic Army Serial Number Merged File, ca. 1938-1946," database, The National Archives: Access to Archival Databases (AAD) (http://aad.archives.gov : National Archives and Records Administration, 2002); NARA NAID 126323, National Archives at College Park, Maryland. Michigan Obituaries, 1820-2006, viewed at FamilySearch, online familysearch.org, FamilySearch (https://familysearch.org/ark:/61903/1:1:QVJ1-X37F : accessed 29 October 2017), Pyrle Or Peak Hart, 2001; citing , various offices and archives, Michigan. George D. Crow household, 1910 U.S. Census, McLennan County, George D. Crow, population schedule, Justice Precinct, ED 99, sheet 17A, dwelling 339, family 339, age 35, occupation Cashier Bank. George D. Crow household, 1920 U.S. Census, Dallas County, George D. Crow, population schedule, Dallas, ED 72, sheet 9A, dwelling 167, family 167, age 45, occupation Manager Trust Dept. - Rason Bank. George D. Crow household, 1910 U.S. Census, McLennan County, George D. Crow, population schedule, Justice, ED 99, sheet 17A, dwelling 339, family 339, age 35, occupation Casheir - Bank. California, County Marriages, 1850-1952 Index and Images at FamilySearch, online FamilySearch.org, FamilySearch (https://familysearch.org/pal:/MM9.1.1/K8XC-V3Q : accessed 20 Jan 2014), George Davis Crow in entry for John Armstrong Crow and Josephine Gorden Tiburcio. George A. Hamil household, 1920 U. S. Census, Cook County, Illinois, population schedule, Chicago, sheet 2005, dwelling 5A, family 60, 90. George A. Hamil household, 1940 U.S. Census, Cook County, George A. Hamil, population schedule, Chicago, ED 103-1178, sheet 3B, Street or Post Office South Union Avenue, house number 7936, number of household visited 57, National Archives micropublication T627-940, Married 63 year old Switchman for a Steam Railroad. Ohio Marriage, 1800-1958 From FamilySearch, online familysearch.org, Indexing Project (Batch) Number: M86964-0; System Origin: Ohio-VR; Source Film Number: 1015952; Reference Number: 2:3S4WTZ6. Find A Grave - Memorial Page, online www.findagrave.com, Amos Edward Ramseyl; Find A Grave Memorial# 34312939. Debbie Gowen Research, "Debbie (Pratt) Gowen - Emails," e-mail to David C. Pratt, Email - 1 aug 1012 listing information from Fort Wayne Ramsey research. Amos Ramsey household, 1940 U.S. Census, Allen County, Amos Ramsey, population schedule, Fort Wayne, ED 94-62, sheet 22B, Street or Post Office Reynolds, house number 1710, National Archives micropublication T627-1116, 33 year old shoveler at a Pond project. U.S. Public Records Index [database on-line]. Provo, UT, USA: The Generations Network, Inc., 2007. Original data: Compiled from various U.S. public records., online http://www.ancestry.com, Ocala, Fl. Public Member Tree, online search.ancestry.com, Petit Woznicki Family Tree. James A. Gazaway household, 1920 U.S. Census, Gaines County, James A. Gazaway, population schedule, Justice Precinct 3, ED 92, sheet 2A, dwelling 32, family 32, age 46, occupation Farmer. Robert R. Pelit household, 1940 U.S. Census, Tom Green County, Robert R. Pelit, population schedule, Justice Precinct 2, ED 226-19, sheet 1B, Street or Post Office Glenmore Dr, house number 112, number of household visited 18, National Archives micropublication T627-4147, Married, 40 year old sales manager at Gates Ruthec Co.
Henry Stafford Murphy household, 1910 U.S. Census, Westmoreland County, Henry Stafford Murphy, population schedule, Cople, ED 0122, sheet 1A, dwelling 4, family 4, age 38, occupation Tobacco Salesman. Henry Murphy household, 1930 U.S. Census, Westmoreland County, Henry Murphy, population schedule, Cople, ED 2, sheet 10B, dwelling 206, family 207, age 58, occupation Com. Salesman - Electic Factory. Chester Davidson household, 1940 U.S. Census, Multnomah County, Chester Davidson, population schedule, South Kelly Butte, ED 26-19, sheet 9B, Street or Post Office Lenox Road, house number Farm, number of household visited 240, National Archives micropublication T627-3376, Married 48 year old operator Chicken Hatchery. Barney Flanary household, 1940 U.S. Census, Harlan County, Barney Flanary, population schedule, Mary Ellen-Coal Good, ED 48-40, sheet 15A, Street or Post Office Rural, number of household visited 225, National Archives micropublication T627-1314, Married 48 year old Electrician. Ancestry.com. California, Marriage Index, 1949-1959 [database on-line]. Provo, UT, USA: Ancestry.com Operations, Inc., 2013. Original data: California Department of Health and Welfare. California Vital Records—Vitalsearch (www.vitalsearch-worldwide.com). The Vitalsearch Company Worldwide, Inc., Pleasanton, California., online search.ancestry.com. G. H. Reynolds household, 1910, San Joaquin County, California, population schedule, Stockton, ED 0131, sheet 9A, dwelling 155, family 175, age 43, occupation Laborer - odd jobs. George H. Reynolds household, 1920 U. S. Census, Yolo County, George H. Reynolds, population schedule, Winters, ED 230, sheet 17B, dwelling 5, family 5, age 52, occupation Farmer - Fruit Ranch. Public Member Tree, online search.ancestry.com, Sarah Meshelle Family Tree - smeshelle. California, County Marriages - viewed at FamiySearch, online www.familysearch.org, FamilySearch (https://familysearch.org/ark:/61903/1:1:K8FM-X84 : 28 November 2014), Charlie Marion Weigart and Emma May Swimmer, 26 Dec 1923; citing Orange, California, United States, county courthouses, California; FHL microfilm 2,050,937. Charlie M Weigart household, 1940 U.S. Census, Meyers County, Charlie M Weigart, population schedule, Rider, ED 49-19, sheet 8A, Street or Post Office Farm, number of household visited 128, National Archives micropublication T627-3311, Charlie was listed as a married 36 year old Farmer. 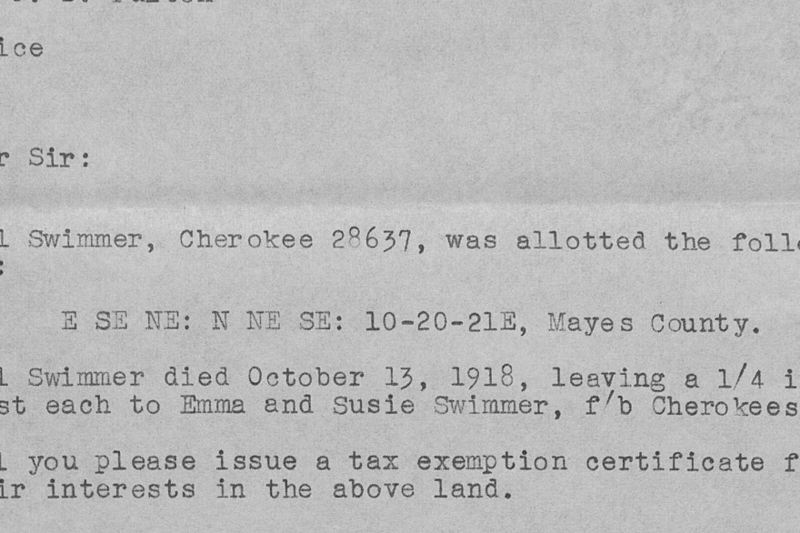 Oklahoma Applications for Allotment, Five Civilized Tribes, 1899-1907, database with images online at FamilySearch, online familysearch.org, FamilySearch (https://familysearch.org/ark:/61903/1:1:Q2H3-84PT : accessed 23 February 2017), Emma Swimmer, 1899-1907; citing Oklahoma, United States, tribe or clan Cherokees by Blood Roll, file Pacific County Probate Estate Files., National Archives and Records Administration, Southwest Region, Fort Worth, Texas. Charley Weigart household, 1930 U. S. Census, Mayes County, Oklahoma, population schedule, Rider, sheet 0016, dwelling 1A, family 7, 7. Oklahoma Applications for Allotment, Five Civilized Tribes, 1899-1907, database with images online at FamilySearch, online familysearch.org, FamilySearch (https://familysearch.org/ark:/61903/1:1:Q2H3-84PT : accessed 24 February 2017), Emma Swimmer, 1899-1907; citing Oklahoma, United States, tribe or clan Cherokees by Blood Roll, file Pacific County Probate Estate Files., National Archives and Records Administration, Southwest Region, Fort Worth, Texa. Benjaman household, 1910, San Joaquin County, California, population schedule, Castoria, ED 113, sheet 14B, dwelling 177, family 182, age 31, occupation Farmer - General Farm. CA Death Index, online familysearch.org, FamilySearch (https://familysearch.org/ark:/61903/1:1:VG5Z-LDV : 26 November 2014), Benjamin R Salmon, 18 Jan 1997; Department of Public Health Services, Sacramento. Benj. Ross Salmon household, 1940 U.S. Census, Alameda County, Benj. Ross Salmon, population schedule, Albany, ED 1-72, sheet 18B, Street or Post Office Talbot, house number 525, number of household visited 446, National Archives micropublication T627-185, age 33, occupation Truck Driver - Transporation. Silvio Landini household, 1910 US Census, San Mateo County, California, population schedule, Township 1, ED 48, sheet 8A, dwelling 146, family 148, age 33, occupation Teamster Fertilizer Company. Stephen M. Roberts household, 1940 U. S. Census, San Mateo County, California, population schedule, San Carlos, ED 41-31A, sheet 21B, dwelling St. Francis Way, family 1733, 569. Harold B. Fowler household, 1930 U. S. Census, El Dorado County, California, population schedule, Placerville, ED 15, sheet 7A, dwelling 195, family 211, age 23, occupation Farmer. Arthur Landini household, 1930 U.S. Census, San Francisco County, Arthur Landini, population schedule, San Francisco, ED 153, sheet 19B, dwelling 349, family 420, age 28, occupation Tilesetter. CA Birth Index, online at search.ancestry.com, Veerkamp - Fowler. Louis P. Veerkamp household, 1930 U. S. Census, El Dorado County, California, population schedule, Coloma, ED 0001, sheet 1B, dwelling 24, family 26, age 58, occupation Farmer - Fruit Farm. Find A Grave - Memorial Page, online www.findagrave.com, Edwin L. Veerkamp - Find A Grave Memorial# 52717032. Find A Grave, database and immages, online www.findagrave.com, Orsina Mary Morenco Reynolds, Find A Grave Memorial no: 66685100. Elwyn Reynolds household, 1930 U. S. Census, Merced County, Elwyn Reynolds, population schedule, Township 2 (Bradley), ED 10, sheet 11B, dwelling 132, family 132, age 31, occupation Salesman - Auto Company. Elwyn F. Reynolds household, 1940 U. S. Census, Merced County, California, population schedule, Ragsdale Addition, ED 24-13, sheet 1B, dwelling 3rd Avenue East, 21. 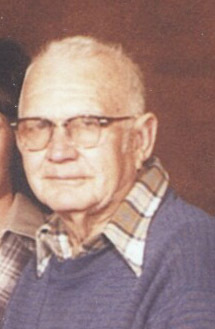 Find A Grave, database and immages, online www.findagrave.com, PFC Aubrey E Williamson, Sr., Find A Grave Memorial no: 99257670. Find A Grave, database and immages, online www.findagrave.com, Mildred E. Egan Williamson, Find A Grave Memorial no: 99270607. James A Egan household, 1910 U.S. Census, Lafayette County, James A Egan, population schedule, Clay, ED 91, sheet 8B, dwelling 152, family 153, age 30, occupation Farmer - Farm. Aubrey Williamson household, 1930 U.S. Census, Jackson County, Aubrey Williamson, population schedule, Sni-A-Bar, ED 278, sheet 10B, dwelling 264, family 264, age 22, occupation Farm Laborer. Aubrey Williamson household, 1940 U.S. Census, Jackson County, Aubrey Williamson, population schedule, Sni-A-Bar, ED 48-50, sheet 7B, Street or Post Office 24 E. Outer Belt Road, number of household visited 156, National Archives micropublication T627-2116, age 32, occupation Tenant Farmer. Robert Y Button household, 1940 U.S. Census, Culpeper County, Robert Y Button, population schedule, Catalpa, ED 24-2A, sheet 12B, Street or Post Office US No 15, number of household visited |167, National Archives micropublication T627-4256, Married 40 year old private Lawyer. Find A Grave - Memorial Page, online www.findagrave.com, Antoinette Cheape Button; Find A Grave Memorial# 31249571. Public Member Tree, online search.ancestry.com, Altorf~1 - Bob_Hockman. Harry W. Cheep household, 1910 U.S. Census, Hillsboough County, Florida, population schedule, Brandon, ED 0028, sheet 13A, From the Index only! Harry W Cheape household, 1920 U.S. Census, Norfolk County, Virginia, population schedule, 130, ED 14A, sheet 320, dwelling 319, family age 44, occupation Photography Studio. H W Cheape household, 1930 U.S. Census, Charlottesville City, H W Cheape, population schedule, Charlottesville, ED 0009, sheet 3A, dwelling 47, family 66, age 57, Occupation Bookkeeper State Highway. Dorthie Mae Gorman was born on 3 February 1907 at Iowa.1 She was the daughter of Robert T. Gorman and Linnie M Cooper.1 Dorthie Mae Gorman was included in the census of Robert T. Gorman and Linnie M Cooper on 24 May 1910 at Nebraska, Page County, Iowa.1 Dorthie Mae Gorman was included in the census of Robert T. Gorman and Linnie M Cooper on 6 January 1920 at Nodaway, Page County, Iowa.3 Dorthie Mae Gorman married Willia Doyle Weaver, son of George Grant Weaver and Neva May Hicks, on 18 February 1928 at Gravity, Taylor County, Iowa.2 Dorthie Mae Gorman and Willia Doyle Weaver appeared on the census of 14 April 1930 in Nebraska, Page County, Iowa.4 They also appeared on the census of 2 May 1940 in Nebraska, Iowa.5 Dorthie Mae Gorman died on 19 May 1989 at Riverside, Califronia, at age 82.6 She and Willia Doyle Weaver appeared to have had no children. Robert T. Gorman household, 1910 U.S. Census, Page County, Robert T. Gorman, population schedule, Nebraska, ED 0103, sheet 4B, dwelling 69, family 70, age 43, occupation Farmer - General Farm. Public Member Tree, online search.ancestry.com, Megredy Working Family Tree - sherrymgr. Robert T. Gorman household, 1920 U.S. Census, Page County, Robert T. Gorman, population schedule, 114, ED 3B, sheet 71, dwelling 77, family age 52, occpuation None. Willia Weaver household, 1930 U.S. Census, Page County, Willia Weaver, population schedule, Nebraska, ED 0021, sheet 4A, dwelling 91, family 92, age 27, occupation Farm Operator - General Farm. Willis Weaver household, 1940 U.S. Census, Page County, Willis Weaver, population schedule, Nebraska, ED 73-21, sheet 3B, Street or Post Office Rural, house number Farm, number of household visited 63, National Archives micropublication T627-1188, Married 38 year old Farmer. CA Death Index, online search.ancestry.com, Mother's Maiden Name: Cooper; Father's Surname: Gorman. William Pratt household, 1910 U.S. Census, Boone County, Illinois, population schedule, Belvidere, ED 2, sheet 7B/1745, dwelling 134, family 144, age showen as 38, occupation as electrition. Interviews, Norman U. Pratt, circa 1980, N.U. Pratt Family Records. Mollie Pratt household, 1920 U. S. Census, Boone County, Illinois, population schedule, Belvidere, sheet 3, dwelling 4B/89a, family 96, 122. Interviews, Norman U. Pratt, circa 1980, Brother of Fred Pratt. Fred C. Pratt household, 1940 U.S. Census, Glenn County, Fred C. Pratt, population schedule, Orland, ED 11-2, sheet 12A, Street or Post Office Fourth Street, number of household visited 311, National Archives micropublication T627-207, 33 year old, married, Superintendent of City of Orland Water Dept. CA Death Index, online search.ancestry.com, SSN: 557079529. Interviews, Norman U. Pratt, circa 1980, Family Geneology. Bernard Bordeau household, 1940 U.S. Census, Muskegon County, Bernard Bordeau, population schedule, Muskegon, ED 61-48, sheet 6A, Street or Post Office Sheriden Road, house number Farm, number of household visited 92, National Archives micropublication T627-1794, Bernard was listed as a 33 year old Laborer on a Water Project. CA Death Index, online search.ancestry.com, Mother's Maiden Name: Leanna. Donald Burke household, 1940 U. S. Census, Lassen County, California, population schedule, Westwood, ED 18-12, sheet 61A, dwelling Cedar Street, family 305, 27. .S. World War II Draft Registration Cards, 1942 [database on-line]. Provo, UT, USA: The Generations Network, Inc., 2007. Original data: United States, Selective Service System. Selective Service Registration Cards, World War II: Fourth Registration. National Archives and Records Administration Branch locations: National Archives and Records Administration Region Branches., online http://www.ancestry.com, Roll: WW2_2240091; Local board: Harrison , West Virginia. West Virginia Births, 1853-1930," database online at FamilySearch, online familysearch.org, FamilySearch (https://familysearch.org/ark:/61903/1:1:X5PT-3BV : accessed 16 February 2016), Opal Estella Elliott, 25 Apr 1907; citing Harrisville, Ritchie, West Virginia, United States, county courthouses, West Virginia; FHL microfilm 1,992,816. "Photocopy of marriage certificate". West Virginia Marriages, 1780-1970, index viewed at FamilySearch, online familysearch.org, FamilySearch (https://familysearch.org/ark:/61903/1:1:FR6X-Z1X : accessed 16 February 2016), George H. James and Opal E. Elliott, 25 Oct 1926; citing Harrison, West Virginia, v 41 p 486, county clerks, West Virginia; FHL microfilm 847,294. West Virginia Births, 1853-1930," database online at FamilySearch, online familysearch.org, FamilySearch (https://familysearch.org/ark:/61903/1:1:X5PT-3BV : accessed 16 February 2016), Opal Estella Elliott, 25 Apr 1907; citing Harrisville, Ritchie, West Virginia, United States, county courthouses, West Virginia; FHL microfilm 1,992,816. "Photocopy of Dlayed Certificate Of Birth ". Goerge James household, 1930 U.S. Census, Harrison County, Goerge James, population schedule, Clarksburg, ED 13, sheet 23A, dwelling 504, family 557, age 33, occupation Forman Contracting Co.
Joe Regalia household, 1910 U.S. Census, Contra Costa County, California, population schedule, Township 7, ED 172, sheet 2B, dwelling 45, family 45, age 36, occupaton ? (Barrel maker? ), Oil Refinery. CA Death Index, online familysearch.org, FamilySearch (https://familysearch.org/ark:/61903/1:1:VPNR-V58 : 26 November 2014), Remo Regalia, 09 Jul 1979; Department of Public Health Services, Sacramento. Andrew Barber household, 1910 U.S. Census, Whitman County, Andrew Barber, population schedule, South Colfax, ED 267, sheet 16B, dwelling 63, family 68, age 30, occupation Farming. Find A Grave - Memorial Page, online www.findagrave.com, Laura C. Davis, d/o Emiline & William A. Davis - Find A Grave Memorial# 26753813. Oregon Death Index, online http://search.ancestry.com/, Certificate: 85-19758. Andrew E. Barber household, 1920 U.S. Census, Wallowa County, Andrew E. Barber, population schedule, Enterprise, ED 197, sheet 16B, dwelling 105, family 107, age 40, occupation Agent - Real Estate. Maurice Bradway household, 1930 U. S. Census, Lane County, Oregon, population schedule, College Crest, ED 0014, sheet 6A, dwelling 160, family 160, age 21, occpuation Edgerman - Saw Mill. Maurice Bradway household, 1940 U.S. Census, Lane County, Maurice Bradway, population schedule, College Crest, ED 20-15, sheet 8B, Street or Post Office Bessy, number of household visited 167, National Archives micropublication T627-3369, Maurice is listed as a married, 31 year old Sawyer - Saw Mill. Elmer J. Ellis household, 1910 U.S. Census, Jackson County, Elmer J. Ellis, population schedule, Sni-A-Bar, ED 212, sheet 2A, dwelling 24, family 24, age 30,occupation Farmer - General Farm. Jeta Sindelar Family Tree, online www.ancestry.com, Jeta Sindelar. British Columbia Marriage Registrations, 1859-1932; 1937-1938." Database with images., online familysearch.org, FamilySearch. http://FamilySearch.org : 14 June 2016. Citing Registrar of Births, Deaths and Marriages. Vital Statistics Agency, Victoria. U.S. Social Security Applications and Claims Index, 1936-2007 viewed online at ancestry.com, online search.ancestry.com. Robert A Waterston household, 1930 U. S. Census, Klamath County, Oregon, population schedule, West Chiloquin, ED 62, sheet 1A, dwelling 11, family 11, age 26, occupation Saw Filer - Saw Mill. Robert A Waterston household, 1940 U.S. Census, Jackson County, Robert A Waterston, population schedule, West Chiloquin, ED 15-56, sheet 6A, Street or Post Office Myers Court, house number 44, number of household visited 130, National Archives micropublication T627-3362, age 36, occupation Planerman - Lumber Mill. CA Death Index, online search.ancestry.com, SSN: 567-40-1373. CA Death Index, online search.ancestry.com, SSN: 567-40-2683. CA Death Index, online search.ancestry.com, SSN: 546-80-7626. W. L. Morris household, 1910 U.S. Census, Cooke County, W. L. Morris, population schedule, Gainesville, ED 0050, sheet 2B, dwelling 33, family 33, age 31, occupation Carpenter - House. Richard Raynolds household, 1910, San Joaquin County, California, population schedule, Castoria, ED 113, sheet 2A, dwelling 24, family 24, age 77, occupation None. Find A Grave - Memorial Page, online www.findagrave.com, Nan Elizabeth Reynolds Hampton - Memorial ID 129586906. Joseph E Hampton household, 1930 U. S. Census, Los Angeles, California, population schedule, Downey, ED 916, sheet 1B, dwelling 19, family 19, age 23, occupation Painter - Houses. Joseph E. Hampton household, 1940 U.S. Census, San Joaquin County, Joseph E. Hampton, population schedule, Castoria, ED 39-3, sheet 27A, number of household visited 538, National Archives micropublication T627-325, Age 34, occupation Painter. Find A Grave - Memorial Page, online www.findagrave.com, Nan Elizabeth Reynolds Hampton - Memorial ID: 129586906. Orville Smith household, 1920 U. S. Census, Bates County, Missouri, population schedule, Mount Pleasant, sheet 14, dwelling 1B, family 48, 54. Harold F Smith household, 1940 U.S. Census, Jackson County, Harold F Smith, population schedule, Kansas City, ED 116-330B, sheet 5A, Street or Post Office East 69th, house number 2500, number of household visited 109, National Archives micropublication T627-2116, age 32, occupation Sales Manager - Wholesale Coffee Roster. Find A Grave, database and immages, online www.findagrave.com, Harold Frederick "Cotton" Smith, Find A Grave Memorial no: 100182515. Orvil F Smith household, 1910 U.S. Census, Henry County, Orvil F Smith, population schedule, Bogard, ED 81, sheet 8A, dwelling 110, family 110, age 36, occupation Farmer - General Farm. Orville F Smith household, 1930 U.S. Census, Jackson County, Orville F Smith, population schedule, Kansas City, ED 190, sheet 8A, dwelling 48, family 54, age 56, occupation Laborer - Salad Gardin. Eugene Simmons household, 1910 U.S. Census, Lyon County, Eugene Simmons, population schedule, Marshall, ED 0092, sheet 3A, dwelling 42, family 45, age 41, occupation Electorial Engineer. Eugene I. Alvord household, 1930 U.S. Census, Lewis County, Eugene I. Alvord, population schedule, Centralia, ED 8, sheet 6A, dwelling 163, family 166, age showen as 38, occupation as electrition. Eugine I. Alvord household, 1940 U.S. Census, King County, Eugine I. Alvord, population schedule, Centralia, ED 21-14, sheet 5B, Street or Post Office G Street, house number 804, number of household visited 132, National Archives micropublication T627-4344, Married, 47 year old owner of a retail-wholesale Feed Company. Public Member Tree, online search.ancestry.com, Lavern F. Johnson(1) - lfj450. John R. Taylor household, 1930 U.S. Census, Stephenson County, John R. Taylor, population schedule, Freeport, ED 0007, sheet 15B, dwelling 363, family 393, age 24, occupation Teller - Bank. John R. Taylor household, 1940 U.S. Census, Stephenson County, John R. Taylor, population schedule, Freeport, ED 89-8, sheet 13A, Street or Post Office N Warleon Avenue, house number 118, number of household visited 289, National Archives micropublication T627-892, John was listed as a married 34 year old Bank Teller - First Natl. Bank. John R. Taylor household, 1940 U.S. Census, Stephenson County, John R. Taylor, population schedule, Freeport, ED 89-8, sheet 13A, Street or Post Office N Warleon Avenue, house number 118, number of household visited 289, National Archives micropublication T627-892, John was listed as a married 34 year old Teller (Bank). Arther E. Davis household, 1910 U.S. Census, Contra Costa County, California, population schedule, Township 4, ED 0165, sheet 11B, dwelling 160, family 167, age 38, occupation Stock Rasing - Stock Ranch. Arthur E. Davis household, 1920 U. S. Census, Alameda County, Arthur E. Davis, population schedule, Berkeley, ED 188, sheet 22B, dwelling 475, family 494, age 48, occupation Laborer - Oil. Aubrey Davis household, 1940 U.S. Census, Marin County, Aubrey Davis, population schedule, San Rafael, ED 21-26, sheet 16, Street or Post Office Bothiro Convalesnt Home, number of household visited 333, National Archives micropublication T627-262, age 40, occupation Laborer at Bothiro Convalesent Home. Wm E. Chandler household, 1940 U.S. Census, San Joaquin County, Wm E. Chandler, population schedule, Castoria-French Camp, ED 39-3, sheet 23A, house number 434, National Archives micropublication T627-325, age 39, occupation Laborer. Daniel A. Slaughter household, 1910 U.S. Census, Culpeper County, Virginia, population schedule, Cedar Mountain, ED 0018, sheet 13B, dwelling 182, family 182, age 46, occupation Farmer. Public Member Tree, online search.ancestry.com, Katherine Ewing Slaughter Family Tree ONE- kes1961. John M Slaughter household, 1940 U.S. Census, Charlottesville City, John M Slaughter, population schedule, Charlottesville, ED Brandon Avenue, sheet 434, Street or Post Office 142, house number John was listed as a married 32 year old Civil Engineer., National Archives micropublication T627-4305. Chas A. King household, 1910 U.S. Census, Glenn County, California, population schedule, Orland, ED 28, sheet 12B, dwelling 14, family 15. Charles A. King household, 1930 U. S. Census, Glen County, California, population schedule, Orland, ED 2, sheet 165A, dwelling 245, family 252, occupation propritor of a sporting good store. CA Death Index, online search.ancestry.com, SSN: 557079528. Chas A. King household, 1910 U.S. Census, Glenn County, California, population schedule, Township 2, ED 28, sheet 1B, dwelling 14, family 15, age 41, occupation Machinest - Bicicle Shop. Chas A. King household, 1920 U. S. Census, Glenn County, California, population schedule, Orland, sheet 61, dwelling 212A, family 285, 311. Interviews, Norman U. Pratt, circa 1980, Address Book. Debbie Gowen Research, "Debbie (Pratt) Gowen - Emails," e-mail to David C. Pratt, Photo copy of obituary for Wanda Pratt via email on 5 Jul 2011. Al G. Barnes Circus household, 1930 U. S. Census, Los Angeles, California, population schedule, Los Angeles, ED 375, sheet 5B, age 22, occupation singer. Find A Grave - Memorial Page, online www.findagrave.com, Lizzie Catherine Godfrey - Find A Grave Memorial# 31208766. CA Death Index, online familysearch.org, FamilySearch (https://familysearch.org/ark:/61903/1:1:JTCS-5X3 : 20 May 2014), Ralph Salmon, Jun 1981; citing U.S. Social Security Administration, Death Master File, database (Alexandria, Virginia: National Technical Information Service, ongoing). Ralph Salmon household, 1940 U.S. Census, Santa Clara County, Ralph Salmon, population schedule, San Jose, ED 43-62, sheet 8A, Street or Post Office Hanchett Ane, house number 1579, number of household visited 231, National Archives micropublication T627-336, age 41, occupation School Teacher - Public School. CA Birth Index, online www.familyserach.org, FamilySearch (https://familysearch.org/ark:/61903/1:1:VL68-F8M : 27 November 2014), Ralph Oliver Salmon, 11 Apr 1934; citing Santa Clara, California, United States, Department of Health Services, Vital Statistics Department, Sacramento. 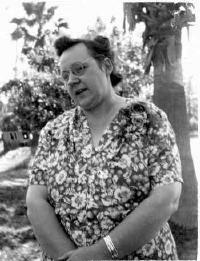 Find A Grave, database and immages, online www.findagrave.com, Margaret Salmon, Find A Grave Memorial no: 137644877. California, County Marriages - viewed at FamiySearch, online www.familysearch.org, FamilySearch (https://familysearch.org/ark:/61903/1:1:K8FZ-6LP : 28 November 2014), Richard L Weaver and Lottie Pistor, 05 Mar 1930; citing Orange, California, United States, county courthouses, California; FHL microfilm 2,051,081. Public Member Tree, online search.ancestry.com, Celeste Family Tree - Celeste Gurevich. George B. Wilkes household, 1910 U.S. Census, CharlottesvilleCity, George B. Wilkes, population schedule, Charlottesville, ED 0017, sheet 12B, dwelling 242, family 247, age 43, occupation Lumer Inspector. George B. Wilkes household, 1920 U.S. Census, CharlottesvilleCity, George B. Wilkes, population schedule, Charlottesville, ED 21, sheet 8, dwelling 162, family 172, age 55, occupation Agent Realestate. Charles E. Smith household, 1910 U.S. Census, Ada County, Charles E. Smith, population schedule, Green Meadow, ED 0017, sheet 12B, dwelling 63, family 63, age 34, occupation Farmer. Walter E. Smith household, 1930 U.S. Census, Ada County, Walter E. Smith, population schedule, Soldiers Home, ED 27, sheet 2A, dwelling 38, family 38a, age 22, occupation Gas Salesman - Oil Station. Walter E. Smith household, 1940 U.S. Census, Ada County, Walter E. Smith, population schedule, Boise, ED 1-19B, sheet 1B, Street or Post Office North 25th, house number 1504, number of household visited 31, National Archives micropublication T627-735, Walter was listed as a married 32 year old manager in a Service Station. Charles E. Smith household, 1920 U.S. Census, Ada County, Charles E. Smith, population schedule, Boise, ED 26, sheet 2A, dwelling 22, family 22, age 43, occupation Agent - Sewing Machine. Idaho, Select Marriages, 1878-1898; 1903-1942 [database on-line]. Provo, UT, USA: Ancestry.com Operations, Inc, 2014. Online at Ancestry.com, online search.ancestry.com, FHL Film Number: 1509774; Reference ID: p 229 cn 1026. Charles C. Sullivan Jr. household, 1940 U.S. Census, Clark County, Charles C. Sullivan Jr., population schedule, Los Vegas, ED 2-9, sheet 12B, Street or Post Office Stewart, house number 519, number of household visited 316, National Archives micropublication T627-2276, age 32, occupation Dealer - Gambling house. BYU-Idaho SpecialCollections: McKay Library 240A, Rexburg, ID 83460, Western States Marriage Records Index, online http://abish.byui.edu/specialcollections/, Marriage ID#550636; County of Record: Summit; State: Utah; Volume: 9; Page: 16. Jacob Malaspina household, 1920 U.S. Census, San Francisco County, Jacob Malaspina, population schedule, San Francisco, ED 139, sheet 13A, dwelling 237, family 237, age 49, occupation Laborer - Quary. Find A Grave - Memorial Page, online www.findagrave.com, Louise Malaspina Lapeyri- Find A Grave Memorial# 44402033. Charles C. Hawkins household, 1910 U.S. Census, Ottawa County, Charles C. Hawkins, population schedule, Weare, ED 0135, sheet 11A, dwelling 132, family 135, age 30, occupation Farmer - General Farm. 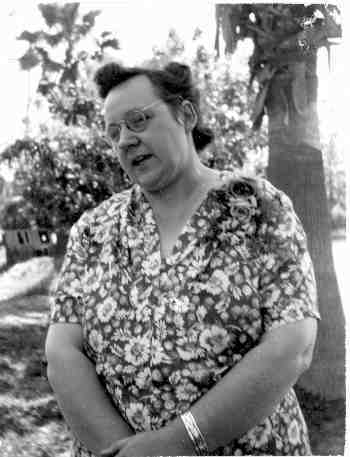 Find A Grave - Memorial Page, online www.findagrave.com, Viola Mildred Hawkins - Find A Grave Memorial# 73443099. Chas. Hawkins household, 1930 U.S. Census, Okland County, Chas. Hawkins, population schedule, Weare, ED 203, sheet 6A, dwelling 117, family 117, age 40, occupation Farmer. Find A Grave - Memorial Page, online www.findagrave.com, Glen Alfred Stanley - Find A Grave Memorial# 73443012. James H. Wallace household, 1920 U. S. Census, San Joaquin County, James H. Wallace, population schedule, Castoria, ED 139, sheet 12A, dwelling 217, family 220, age 39, occupation Farmer. Floyd Wallace household, 1940 U.S. Census, Calaveras County, Floyd Wallace, population schedule, Angels Camp, ED unknown cd3, sheet 5-6, Street or Post Office 11A, house number Hiway 49, National Archives micropublication T627-194, Floyd was listed as a married 31 year old miner. California, County Birth and Death Records, 1800-1994," database with images, viewed online at FamilySearch, online familysearch.org, FamilySearch (https://familysearch.org/ark:/61903/1:1:QV37-6BPW : 22 August 2014), Floyd Wallace in entry for Baby Wallace, 24 Nov 1935; citing Death, Stockton, San Joaquin, California, United States, county courthouses, California; FHL microfilm 1,831,983. California, County Marriages - viewed at FamiySearch, online www.familysearch.org, FamilySearch (https://familysearch.org/ark:/61903/1:1:K82T-RD9 : accessed 13 June 2016), Dove Reynolds in entry for Robley A Howell and Mable A Abt, 17 May 1931; citing San Joaquin, California, United States, county courthouses, California; FHL microfilm 1,841,873.